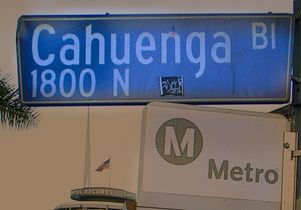 Words like Cahuenga have their roots in the nearly forgotten Tongva language. 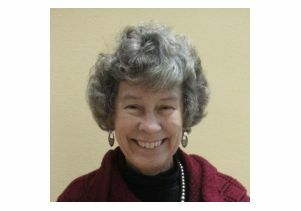 Pamela Munro is an emeritus professor of linguistics at UCLA who has studied many indigenous languages of the United States and Latin America. Munro runs a Facebook page on which she posts a new word or phrase in the language of Tongva every day to help preserve and revitalize the language of Southern California’s Gabrielino-Tongva Indians. Thinking L.A. is a partnership of UCLA and Zócalo Public Square. This article appeared Oct. 27 on Zócalo Public Square. As Los Angeles fourth graders know (because their curriculum includes the study of California Indians), the original language of Los Angeles is Tongva. This American Indian language (also called Gabrielino) used to be spoken in villages all over the L.A. Basin and, in a related dialect, throughout most of the San Fernando Valley. 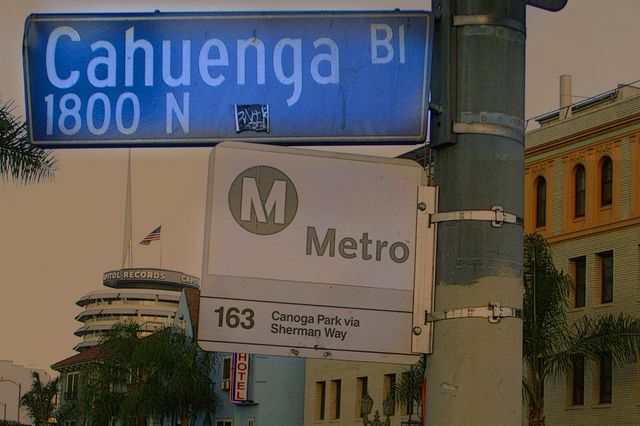 These villages have given their names to places all over Los Angeles, including Tujunga (from Tongva Tuhuunga “place of the old woman”) and Cahuenga (from Kawee’nga“place of the fox”). Some names don’t have translations we know of, such as Topanga (in Tongva, Topaa’nga). But despite these ever-present reminders, the language has not been spoken for over 50 years. Some people thus might call Tongva “extinct,” but that word is hurtful to Tongva people who would like to see their language awakened once more. I first encountered Tongva shortly after I began teaching at UCLA 40 years ago, when my mentor, the late professor William Bright, introduced me to the field notes of J.P. Harrington, an ethnographer and linguist who worked with Tongva speakers during the early 20th century. It’s hard to find information on Tongva. There are no audio recordings of people speaking the language, just a few scratchy wax cylinder recordings of Tongva songs. There are additional word lists from scholars, explorers, and others dating from 1838 to 1903, but Harrington’s notes are the best source of information on the language. These records are often inconsistent and maddeningly incomplete, however it takes a lot of analysis to make sense of them and synthesize them into a clear picture of the language. Over the years I compiled a Tongva dictionary of over a thousand words and felt I knew quite a bit about the language’s grammar. Luckily, Harrington was a trained phonetician (though an eccentric one — he often varied his phonetic symbols just to keep from being bored). His careful notes helped me feel confident about how the words should sound. Based on Harrington’s work, I developed a consistent orthography or writing system, using ordinary letters, without special characters not found on a standard keyboard (you can type Tongva on your phone!). Of course, English speakers can’t understand this system without learning its rules, just as non-Spanish speakers have to learn that the ll in Pollo Loco is pronounced like y. The English pronunciation of a word like Tujunga uses a “hard g,” as in finger, for example, but the Tongva ng represents the sound at the end of bang or in the middle of singer, without a separate g sound. My confidence in this purely academic approach to Tongva was shaken, however, in 2004. I was asked to serve as a linguistic mentor to several Tongva people who wanted to learn about their language at the Breath of Life Workshop, a biennial event in Berkeley run by the Advocates for Indigenous California Language Survival. At Breath of Life, members of California Indian tribes whose languages are no longer spoken can learn how to access and understand technical materials on those languages. Armed with my dictionary, grammar notes, and typeable spelling system, I felt well-prepared to contribute. When I met with my group of three ethnic Tongva learners, however, I realized that people who want to learn their ancestral language don’t want or need the same things as academic linguists. People who participate in Breath of Life want to learn their heritage language to feel connected to their ancestors and to make this connection part of their lives. The first thing they want, they often say, is to be able to pray in their language. (Most linguists are agnostic. I’m actually a church-goer, but I don’t often think about prayer when I am doing linguistics, so this was quite unexpected.) To be most useful to these participants, a dictionary should go from English to the target language, so they can find the words they want to say. (Linguists, on the other hand, are more likely to arrange such a list from the target language to English, to aid in finding words similar to words in related languages.) I got almost no sleep that first night at the workshop, because I was manually creating an English-Tongva index to my Tongva-English vocabulary to share with the group the next day. Ever since then, I have met each month in San Pedro with an ever-changing group of learners whose core members include two of the Breath of Life participants from 2004. Most of the people who come to these classes are Tongva descendants, but a few are interested community members. In addition to going over lessons on word structure and sentence creation, we also sing songs, play games, learn useful phrases for conversation, and work together on discussing words to be added to the dictionary. Songs are particularly helpful for learning vocabulary and getting motivated to practice more, so I try to match our songs to the class lessons. We now have Tongva versions of Christmas carols, traditional folksongs, kids’ songs — everything from the theme song from “Maleficent” to a version of “This Land is Your Land,” which includes lines like Topaa’ve Tuhuung’aro “from Topanga to Tujunga.” It’s really exciting to see the 6-year-old twins who come to our classes with their grandmother sing Wereechey Chinuuho’ (“The Little Black Widow Spider”) in Tongva. Our Gabrielino-Tongva Language Committee has put together a phrasebook (including everything from Chongaa’aa kukuume’a! “Wash the dishes!” to ‘Wiishmenokre “I love you”) and a little book about animals. I’m hoping to have versions of the updated dictionary and lesson book ready to share with the public some time next year. Lots of people who can’t come to our classes e-mail me to find out how to say things in Tongva. Last year I started a Tongva Language page on Facebook to share a daily audio file of a Tongva word, phrase, or song, often with a short commentary about how these items are used in context. I am thrilled when people comment on how much the page means to them. Some fans of the Facebook page are excited to learn words in their ancestral language. Others use the language in their work (several of our regular readers lead nature walks in which they incorporate Tongva words, for example), and some are linguists who work on other Indian languages. Now, though, we have a coyote story (a moral tale like those in Aesop’s Fables), the Christmas story, a version of the Aquarium of the Pacific in Long Beach’s blue whale story (used in the Moompetam celebration there), and several others. Would the Tongva speakers of a hundred years ago understand these? I’m sure they would. Would they laugh at the mistakes we make? Probably — but I hope they would also be forgiving. Pamela Munro, emeritus professor of linguistics at UCLA.